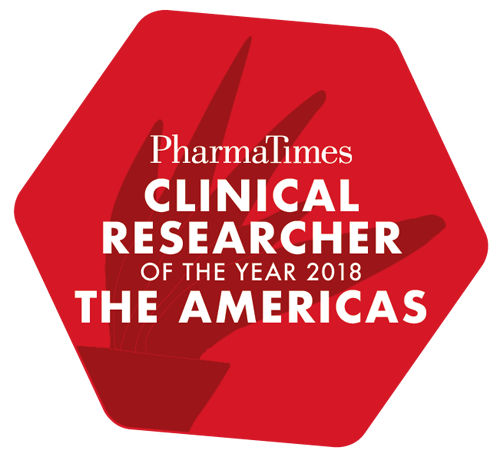 Designed to recognise and reward the talent and passion of industry and academic researchers, PharmaTimes Clinical Researcher of the Year – The Americas is open to clinical researchers in pharma, CROs and investigator sites who currently work in the USA, North, South and Central America. The executive steering group has taken the decision to introduce two new categories for 2018: Clinical Trial Manager and Clinical Site Team. Commenting on this exciting new move, Debbie says: “Innovation, new technologies, more efficient ways of conducting clinical research, the industry is constantly changing and it’s important that we mirror those changes by evolving the competition in a way that allows us to identify the best-of-the-best. The finals day and awards ceremony will be held in Washington DC during April. All finalists receive valuable mentoring and feedback on their performance - “invaluable for personal and professional development, it’s also a great way to separate the good from the great internally within your company and externally within the research industry,” says Mark Lacy, owner of Benchmark Research and chair of the competition’s executive steering group. PharmaTimes Clinical Researcher of the Year – The Americas is now open for entry. For individual entrants, stage 1 of the competition is a multiple-choice questionnaire. There is no need for teams to complete the multiple choice questionnaire, instead the team lead should complete the online team entry form. Visit www.pharmatimes.com/CROY for more information on categories and how to enter.